This is an example of a cover letter for a writing position. Download the writing job cover letter template (compatible with Google Docs and Word Online) or see below for more examples. Demonstrate Your Writing Technique: Use the cover letter as an opportunity to showcase your command of your craft. Vivid description and imagery aren't just for poetry and prose. For example, if you're applying to write about food or travel, use sensory language in your descriptions. Tell an anecdote to describe your experience. 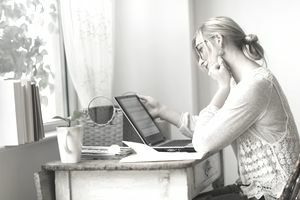 Email cover letters obviously need to convey the same information as traditional, hard-copy cover letters, but there are a few writing and formatting differences to keep in mind, should you send your materials via email. List your name and the job title in the subject line of the message, so that the hiring manager can tell at a glance that she’s looking at an application for this specific position. Keep the body of the email short and sweet – no more than two or three paragraphs at most. And include your contact information in your signature, as well as links to your online portfolio, LinkedIn profile, or any other relevant materials. Make sure you understand formatting and sending email cover letters, including important reminders about attachments and sending test emails. Make a positive, professional impression on the hiring manager while dodging over-zealous spam filters when you apply for jobs via email. Make sure you know how to address the person who will be reading your cover letter, even if you don’t know the name of the hiring manager.